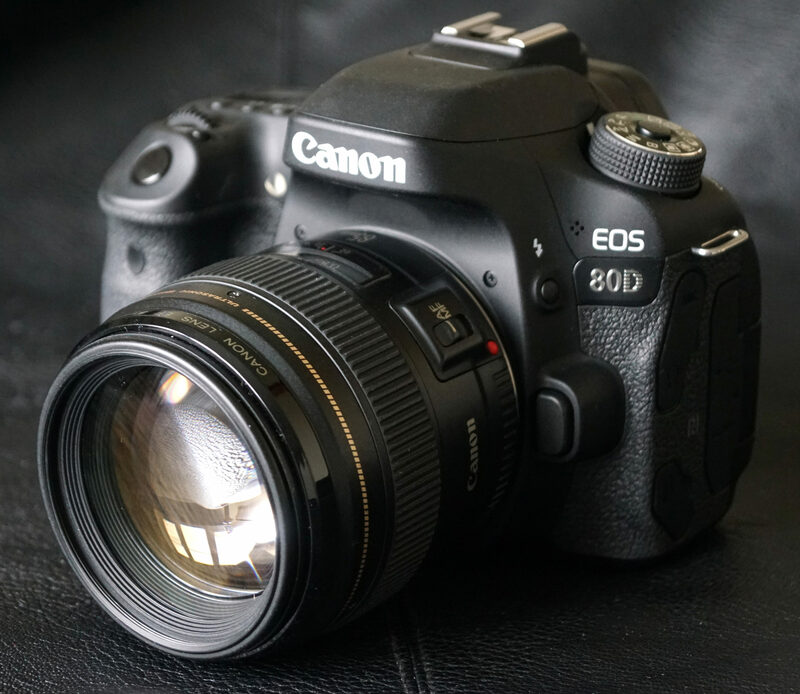 Read our full review of the Canon EOS 80D - the update to the popular 70D, bringing improved image quality, faster buffer rates, an improved sensor and more. The new Canon EOS 80D is an update to the 20.2 megapixel 70D DSLR, released back in 2013, and it features a new 24.2 megapixel CMOS sensor and DIGIC 6 processor, alongside a new 45 all cross-type point AF system and a 7fps shooting rate. 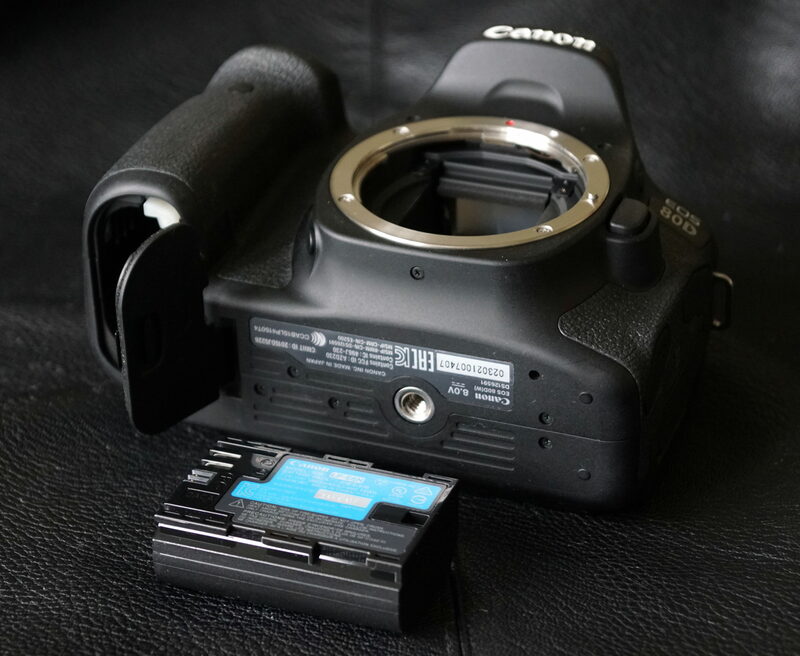 As well as a new sensor, there are plenty of other improvements Canon has made to the new DSLR which updates the 70D and sits in the middle of Canon's DSLR lens line-up. 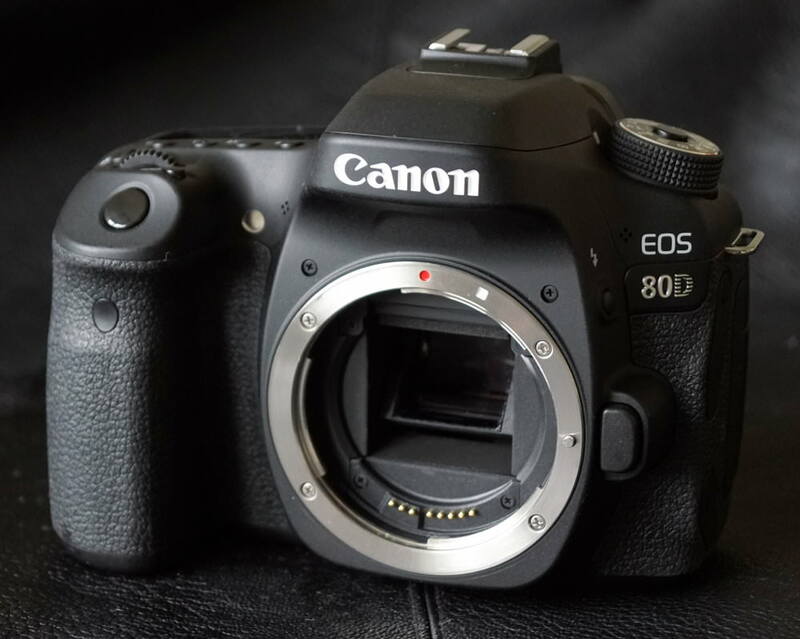 The Canon EOS 80D, which Canon says is perfect for the enthusiast photographer or for those who are looking to make the step up from a camera such a 700D, is available for £999 body only. As mentioned, inside the camera body you'll find a new 24.2 megapixel APS-C CMOS sensor, a new 45 point AF system, and the camera can shoot at 7 frames per second, with a new mirror mechanism for improved noise and image quality. This includes a new compact motor, which has the characteristics of both a stepping motor and a DC motor, that's used to drive the mirror to reduce noise. A floating support and improved motor acceleration/deceleration control also reduces the mirror's rotation speed immediately before its up/down action. All of these improvements together reduce mechanical sound and camera vibration to improve the quality of images captured. The 80D has a native ISO range of ISO100 - ISO16,000, one stop higher than the 70D, and this can be expanded to ISO 25,600, which will be useful for low-light conditions. Plus, the AF system will also focus under moonlight at -3EV. Talking of the AF system, the 45 AF points can be individually selected or grouped which gives the user more control of composition, and they are all cross-type. The extra megapixels the new sensor brings means image resolution will be improved when compared to the 70D with its 20mp sensor and it's also smoother and quieter in use. Buffer rates for the 80D sit at 110 JPEG images and 25 RAW which is a vast improvement on the 70D which had a buffer rate of just 65 JPEG images and 16 RAW. Flicker Detection makes it easier to ensure exposure levels are consistent, even when working under flickering artificial lights and there's a 7560-pixel RGB+IR metering sensor that measures both visible light and invisible infrared light. The Intelligent Viewfinder displays 100% of the frame as well as camera settings and there's also a 3" vari-angle LCD touch screen found on the back of the camera which comes in handy when shooting movie footage or working with Live View. 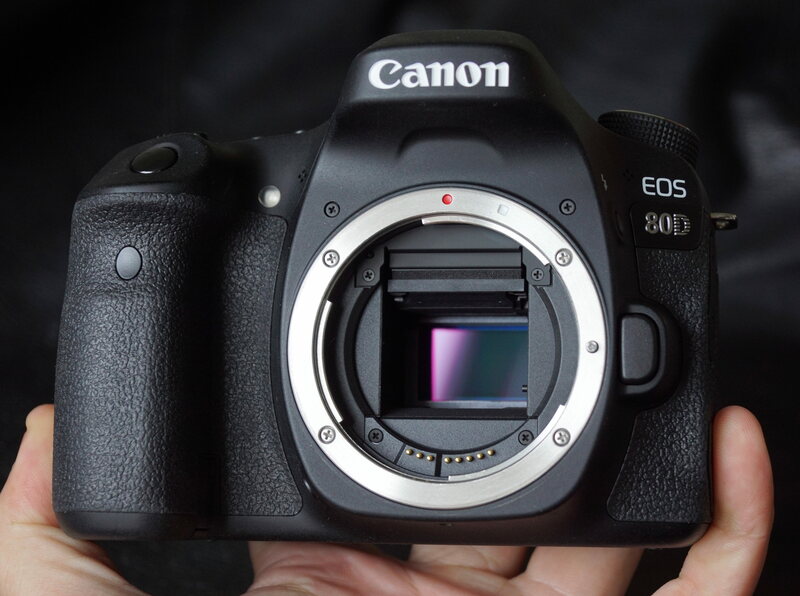 As you'd expect, the Canon EOS 80D captures Full HD movies and both AF speed and AF tracking sensitivity can be adjusted when capturing film footage. 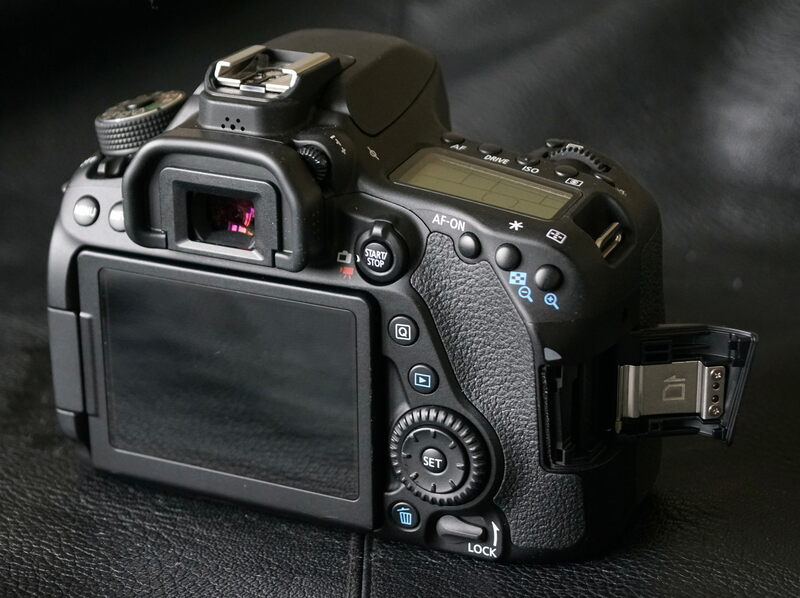 Users can also shoot at 60p in MP4 format and the EOS 80D features both a microphone socket and a new headphone socket, something that was requested by vloggers with whom the 70D was very popular. The EOS 80D also features a range of built-in timer shooting functions that enable photographers and videographers to control their camera over set lengths of time and to create time-lapse movies. Built-in Wi-Fi and NFC connectivity are built-in and the EOS 80D is compatible with Canon's Camera Connect app. The controls and buttons will be familiar to anyone who has used the previous version of this camera, with almost all of the buttons and controls matching. 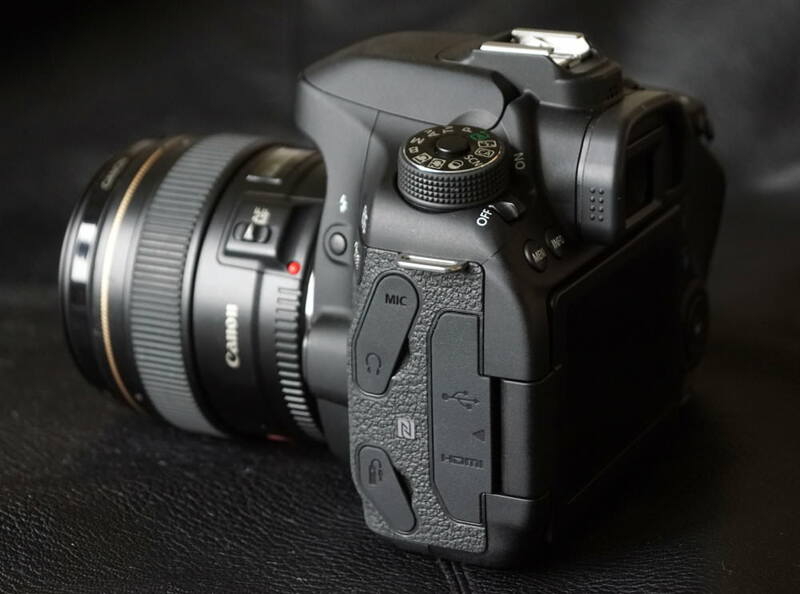 As well as having a good rubberised hand grip, the Canon EOS 80D is light, making it easy to support / hold when working hand-held. It actually weighs 730g making it around 20g lighter than the 70D at 755g. As the camera has a weather-sealed construction, the camera feels re-assuringly solid, and the battery and memory card compartments have padding to reduce or limit water ingress, which is nice to see. 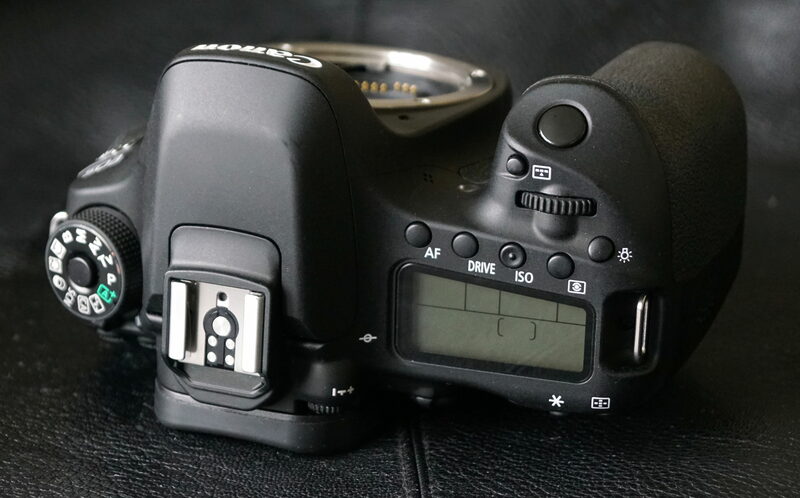 The touch-screen on the back of the camera gives quick access to functions, and using the Q button gives you access to the most commonly used settings. There are a good number of button and controls on the camera, which gives quick access to settings, so you don't always have to go in to the menus, and it's quick and easy to change the ISO speed as it has a dedicated button. The optical viewfinder is large and clear and gives a good view of the scene, as well as useful shooting information, without the need to take the camera away from your eye. It clearly displays the focus point, which is helpful as there are 45 available, and these cover a good area of the frame. You can also focus in low light with the camera focusing down to -3 EV. In live view you can set the focus point to an even wider area of the screen, and focus is still rapid. Menus – The menus are clearly laid out with colour coded sections, and will be immediately familiar to anyone who has recently used a Canon camera. You can quickly change settings with the Q button and the touch screen, and you can also use the touch screen to scroll through options in the menus as well as change settings. This makes it very easy and quick to change settings, particularly if you are familiar with using touch-screens. There are a number of advanced focus options available in the Custom menus, along with AF fine tuning, and to understand these fully, study of the manual is recommended. The My Menu section lets you add a "my menu tab" and you can setup your own list of favourite settings. With the camera featuring built-in Wi-Fi and NFC it's particularly easy to setup a connection to a compatible (Android) smartphone with NFC built-in. Using Canon's Camera Connect app, which is available for Android and iOS devices, you can view and transfer images on the camera, shoot remotely as well as change camera settings. Battery life - Battery life is rated at 960 shots according to Canon / CIPA test results, which is very good, and a slight improvement over the 920 shots offered by the EOS 70D. This is great, as it means the price of the 70D will come down, and I am looking at getting one of those!! Wonder when the 6D mkII will be announced . . . . .? This is great, as it means the price of the 70D will come down, and I am looking at getting one of those!! Wonder when the 6D mkII will be announced . . . . .? @Nigeboy: Most probably Canon will release 6D mark II and 5D mark IV at Photokina in september. There was also a rumour about SL2, which might come during April/May timeframe. This CP+ is going to be exciting one with Sigma planning to release 50-100mm f/1.8 lens and Tamron releasing 85mm VC lens. Has anyone directly compare to the 7D mk2? under lens performance you have given a link to the old version of the 18-135 lens not the one that comes with this camera which has been upgraded. any chance an up to date review? the pictures from this camera are a joke no wonder I've never bought a canon and never will.